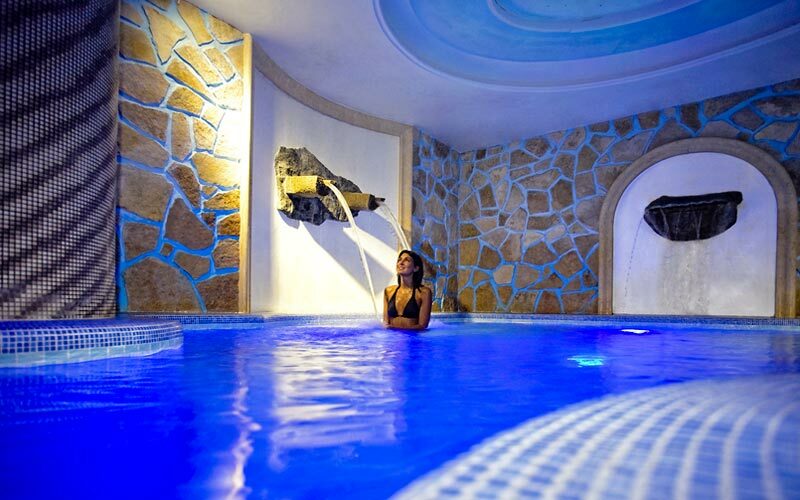 Luxury, sea, spa. 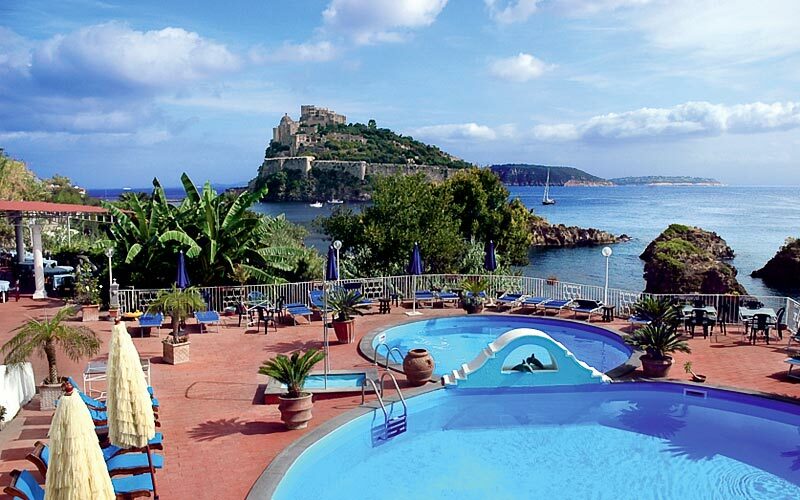 Ischia's Delfini Strand Hotel Terme'' is the ideal choice of hotel for those keen to combine a vacation on this, the greenest of the islands in the Bay of Naples, with world class spa treatments, excellent cuisine''', and hours on the beach. 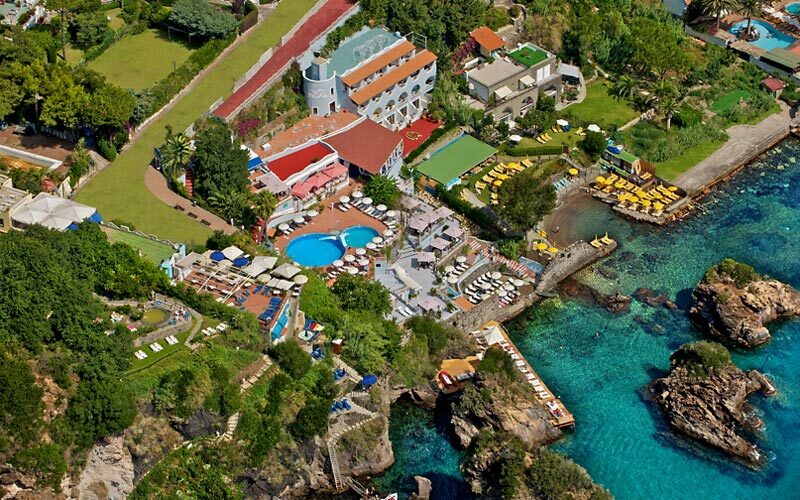 The Delfini Strand Hotel Terme is situated in the bay of Cartaromana, famous since the times when the Ancient Romans discovered thermal springs surfacing by the seashore. Turkish bath, fitness, Kneipp paths? Become a member of the Club Benessere and enjoy the lot for free! 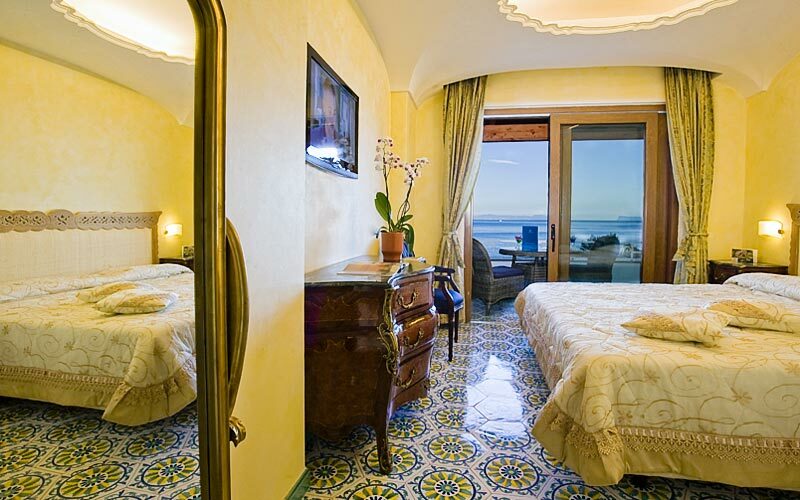 When they are not luxuriating in the island's thermal waters, guests might easily be found relaxing on Hotel Delfini's private beach, nestled amidst the rocks of Sant'Anna and within easy reach of Ischia's ancient Roman ruins and imposing Aragon Castle. From the moment they enter the Delfini Strand Terme Hotel, guests are struck by the splendor of the interiors, characterized by an elegant fusion of classic Mediterranean, Imperial, Louis XIV and Regency styles. 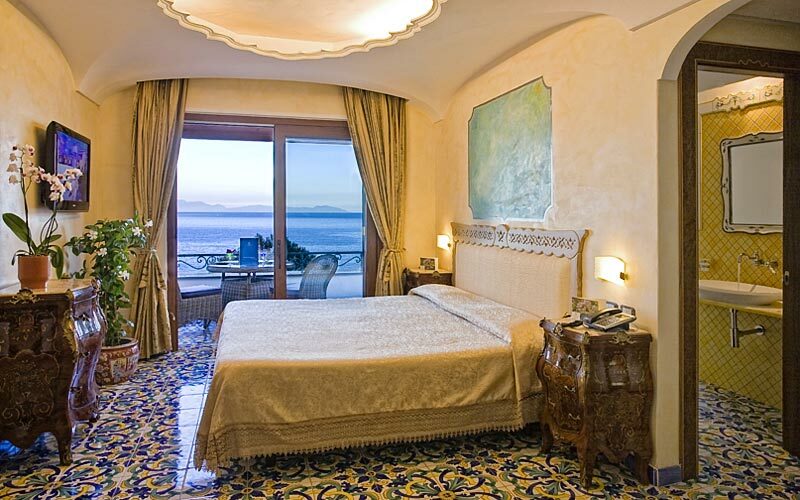 The hotel's bedrooms and suites are equally sumptuous: adorned with exquisite stuccowork, precious majolica, and antiques. That's how the Delfini Strand Hotel Terme likes to define the cuisine served in its elegant restaurant.Offering an excellent selection of Italian and international dishes, Hotel Delfini's menus reserve ample space for Ischia's traditional specialties and wonderfully fresh fish and seafood. From the generous buffet breakfast "en plein air", to the Neapolitan specialties served each lunchtime, from the tempting Mediterranean appetizers to the romantic candlelit dinners on the terrace: throughout the day, and well into the evening, guests staying at Hotel Delfini are treated to a gastronomic experience to remember. 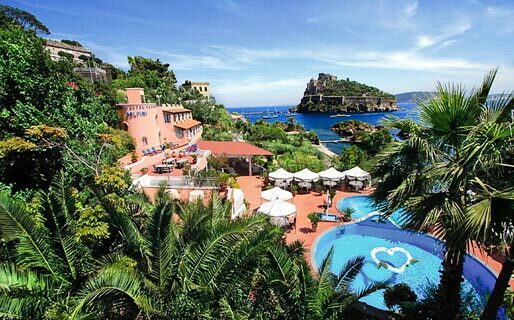 The perfect venue for a glamorous social event or wedding reception, Ischia's Delfini Strand Hotel Terme is also a much sought after location for high profile business meetings and seminars, hosted in the hotel's 80 seat conference room. In the last 30 days 29 people have visited this page. 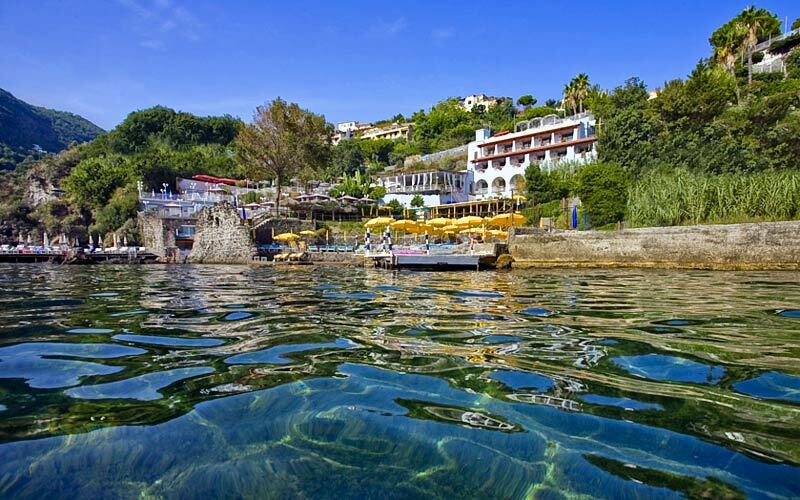 In the bay of Cartaromana, Delfini Strand Hotel Terme has a fabulous location, right on the water's edge and, at the same time next to the center of Ischia and the island's port. 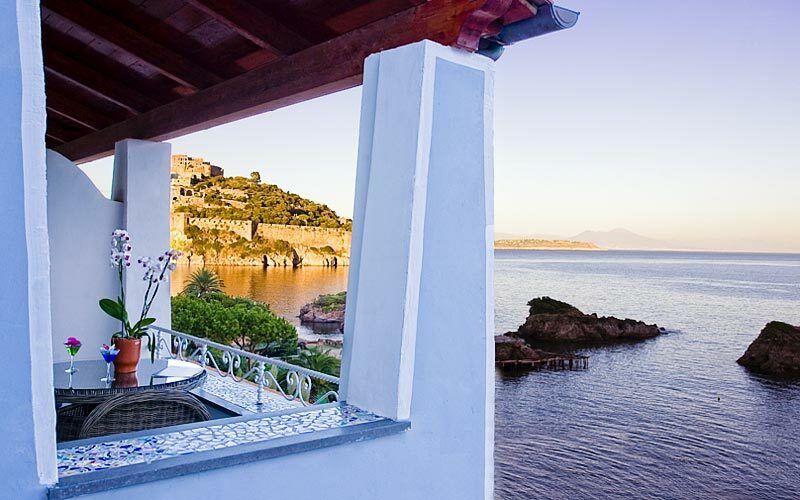 From the terraces, the bedrooms and the beach of Hotel Delfini, marvelous views can be seen of the Aragon Castle, the tower of Guevara, and the neighboring island of Procida. Throughout the year, regular ferry and hydrofoil crossings connect Ischia with Naples. 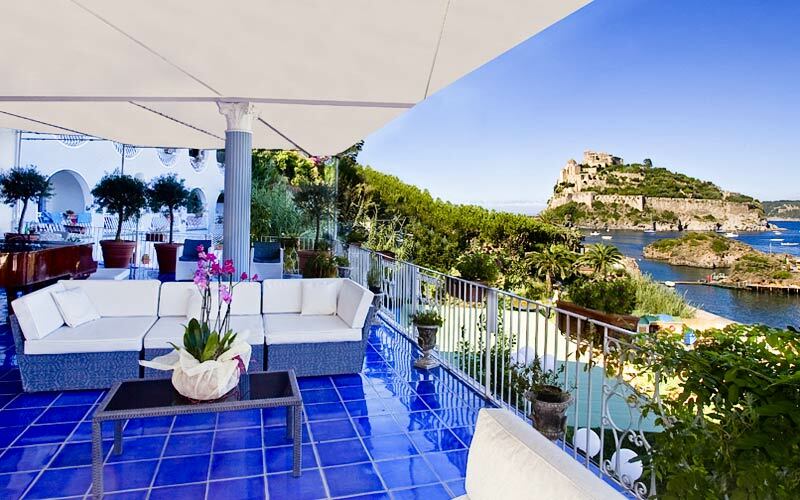 During the summer months, boats also sail from Ischia to Capri and the towns on the Amalfi Coast.